Earlier this week, New England Patriots tight end Rob Gronkowski announced his retirement from the game of football. At just 29 years old, Gronkowski has accomplished a lot, including three Super Bowls and countless pro bowls. His stats show for themselves and he is most likely a lock for the Hall of Fame. Now that Gronkowski is saying goodbye to the Patriots, he is also saying goodbye to the city of Boston altogether, at least that's what it seems like. 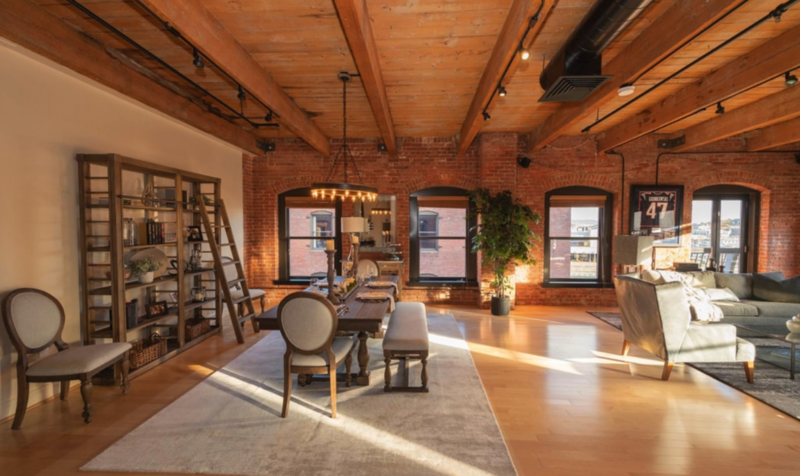 According to TMZ Sports, Gronkowski just recently sold his 2100 square-foot penthouse in Boston for $2.3 million thanks to the help of Douglas Elliman Real Estate. The condo is absolutely gorgeous, with multiple large rooms which seem decked out in Patriots paraphernalia, as well as a rooftop deck and barbecue area. Not to mention, the condo is just within walking distance of the Seaport District which has tons of great bars and restaurants. The person who bought it is definitely in for a treat. "Thank you for everyone accepting who I am and the dedication I have put into my work to be the best player I could be," Gronk wrote on Instagram during his retirement announcement. "But now its time to move forward and move forward with a big smile knowing that the New England Patriots Organization, Pats Nation, and all my fans will be truly a big part of my heart for rest of my life. It was truly an incredible honor to play for such a great established organization and able to come in to continue and contribute to keep building success. To all my current and past teammates, thank you for making each team every year special to be apart of. I will truly miss you guys. Cheers to all who have been part of this journey, cheers to the past for the incredible memories, and a HUGE cheers to the uncertain of whats next."